Jamie Keegan soared a little higher. She reached a little farther. She swung a little harder. With the adrenaline kicking in just as Brooke DeGuilio set a high-arching ball on match point, Keegan delivered the finishing blow. Top-seeded East Rockaway overcame a loss in the opening set to defeat second-seeded Oyster Bay, 25-27, 25-12, 25-22, 25-19, on Tuesday night at Farmingdale State to capture its third consecutive girls volleyball Nassau Class C championship. 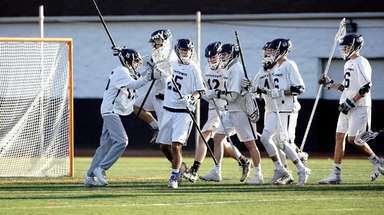 The Rocks advance to play Suffolk Class C champion Mattituck on Sunday at 1 p.m. at Farmingdale State in the Long Island Class C championship. Keegan had 14 kills, though the final one was unlike the rest. DeGuilio usually sets the ball lower for Keegan so the lefty can get on top of it. 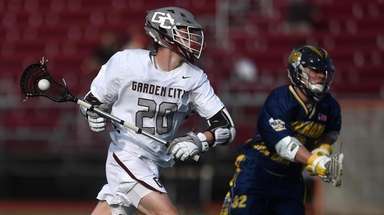 This one just came out a little higher, but Keegan remained patient to hit the ball at just the right moment, splitting the Oyster Bay defense. Oyster Bay, led by the aggressive setting of Reilly Iles, knocked East Rockaway’s adrenaline down a peg after a back-and-forth first set. 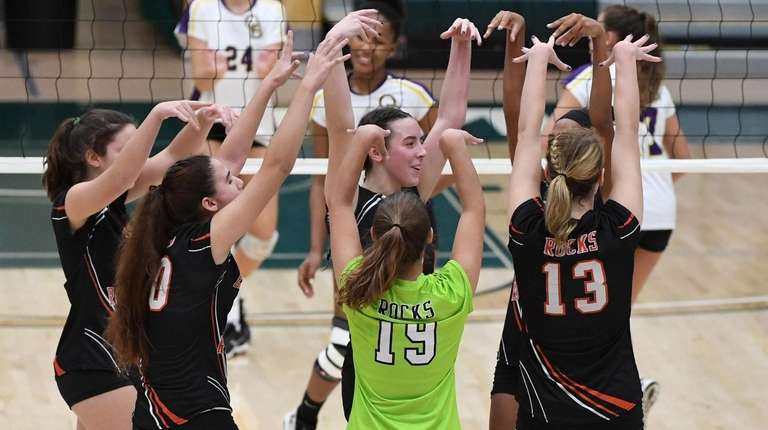 The Rocks played Oyster Bay twice in the regular season, losing the first set both times only to win later on. “This team, they all season have proven they do not quit,” coach Ksenia Brito said. 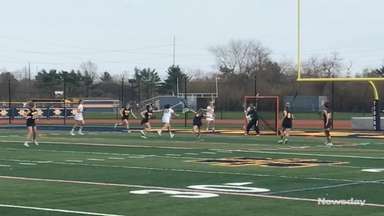 The Rocks showed their depth as Iles, Kristen Aasheim, Makayla Gardon, Bridget Zahradnik and Kaitlin Pellechia battled back for Oyster Bay (13-3). When the Baymen were within one at 11-10 in the fourth set, freshman Katy Howard recorded consecutive aces for the Rocks. With a little breathing room, East Rockaway was more aggressive. Madison Cipriano, who had six kills, put the Rocks ahead 20-16 with an ace, then Giana Donald’s ace made it 23-17. “It’s a serving game, and we have to show up,” Keegan said. Much work went into serving during the week of practice, Brito said, in order to keep up with Oyster Bay. Keegan made sure the preparation wasn’t for nothing. 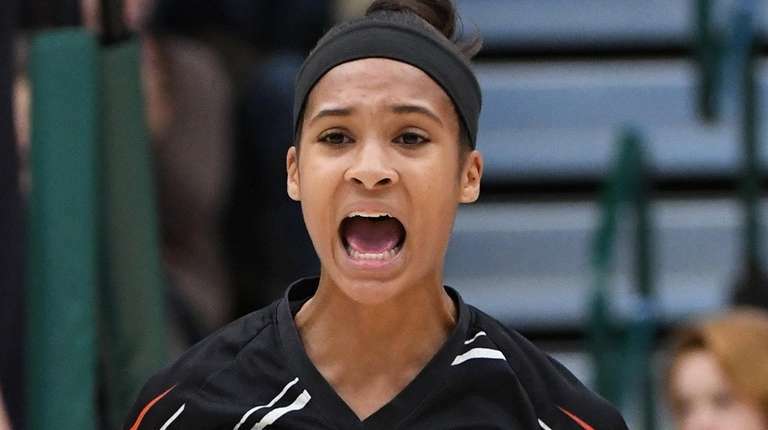 Long Beach dominates: The top-seeded Long Beach girls volleyball team is one step closer to realizing the goal it set immediately following the end of the last season. 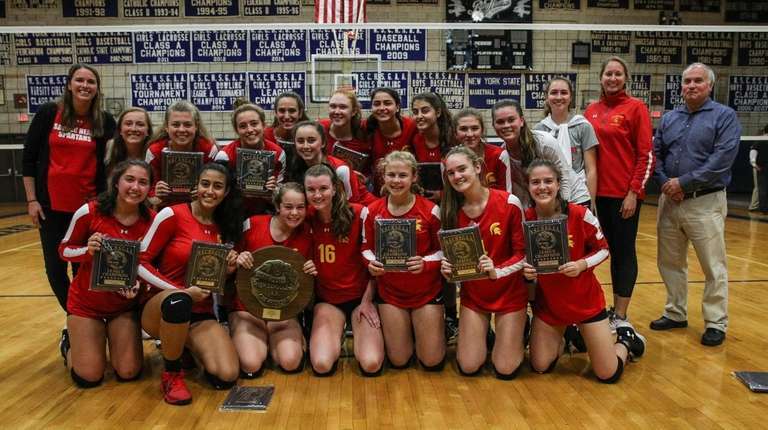 Grace Rosenberg served 17 straight points in the third set, Emma McGovern had 22 kills and Kathleen Verastegui had 20 digs as top-seeded Long Beach (16-0) defeated third-seeded Plainview-Old Bethpage JFK, 25-13, 25-22, 25-3, in the Nassau Class AA championship game on Tuesday night at Farmingdale State. 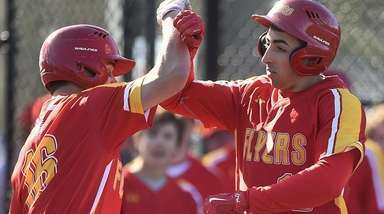 After losing to Connetquot, the eventual state Class AA champions, in the Long Island Class AA championship last season, Long Beach (16-0) sought another shot at a trip to the state semifinals. 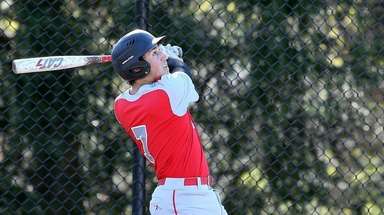 Now, it could come against Connetquot, which plays Commack on Thursday at SCCC-Brentwood at 7 p.m.